Built by the Reverend Thomas Sharpe in 1845 soon after land became available in the Bathurst area, Miss Traill’s House and Garden is named after Ida Traill, a socially prominent, independently wealthy resident, who lived in this pretty Colonial Georgian bungalow from 1931 until her death at 87 in 1976. Ida Traill was a descendant of early settlers in the region. Her great grandfathers, pioneering freeholders, were amongst 10 men selected by Governor Macquarie to explore and settle the area, which became Bathurst, one of Australia’s first inland cities. 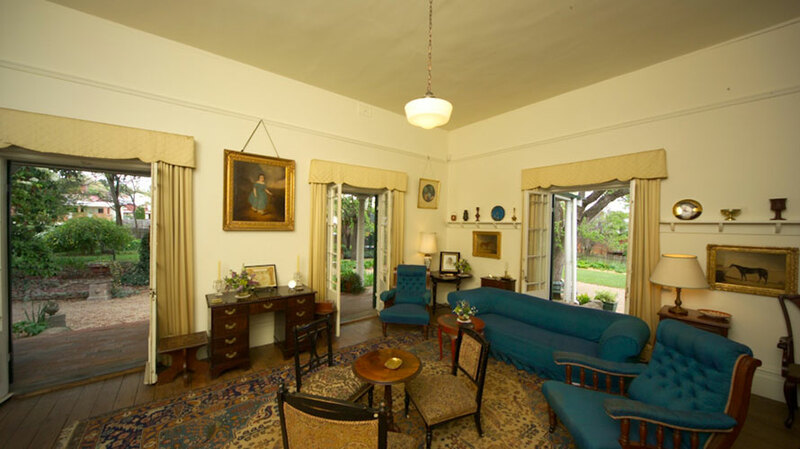 The home Ida bequeathed to the National Trust (1976) – to ensure it would not be demolished to make way for ‘progress’ – is today an elegant house museum containing Ida Traill’s significant collection of artifacts relating to four generations of the Lee and Kite families. Together with her tasteful furniture, intriguing horseracing memorabilia, paintings and ceramics, they are linked to the house and the early history of Bathurst. After living in Sydney for many years, Ida returned to Bathurst in 1931 and purchased the house at 321 Russell Street for herself and her mother. Thanks to her inherent good taste, the house has a subtle, feminine character, elegant furnishings and a most enchanting, private garden. Always a good dresser, Ida also had a few unconventional passions for her time: a love for cars (she drove a Packard for many years and was as knowledgeable about its workings as her mechanic), rugby and cricket. Her home was always open to friends and she became legendary for her cocktail parties. She lived at 321 Russell Street for over 50 years until her death in 1976. The house holds a wide and varied collection accumulated over 150 years, embracing items from Ida’s convict ancestors to her more prosperous land settlers. There are many mementoes to racing history with Lee horses making their mark for nearly 50 years, winning national titles including the Melbourne Cup and breeding some of the finest thoroughbreds in the industry. Ida herself shared in the love for the family’s racehorses and a running equestrian theme can be spotted throughout the property and its collection. The artwork, in particular, reflects a spectrum of equestrian and racing memories. Miss Traill’s garden includes a horse paddock, a feature once common in the cities and towns of New South Wales. This was home to her “boys”, a few sheep she kept as pets. The garden also features a herb garden and well-established grounds planted with colourful ‘cooler climate’ shrubs and flowers. 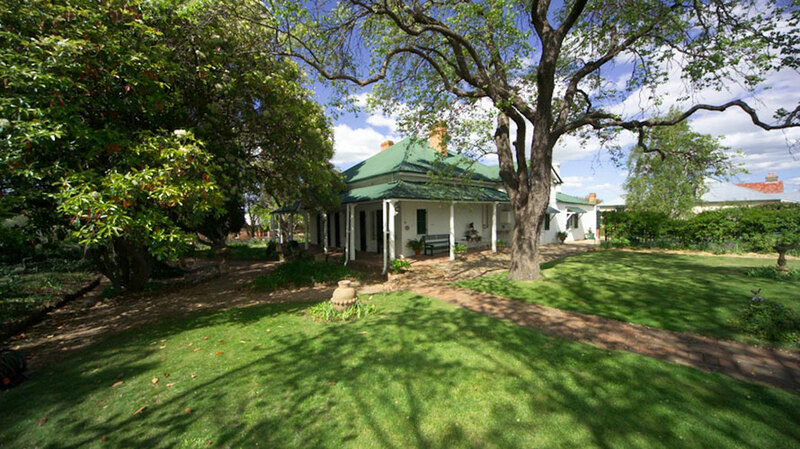 Miss Traill’s House and Garden remains a fine example of one of the few Victorian-era homes within Bathurst that is largely unaltered. It reflects a long line of social, economical and genealogical associations with the Sharpe, Kite and Lee families and their descendants, stretching to Miss Traill, who had the foresight to preserve this tangible memorial to her family. And public holidays.) Last tour 3pm. Open anytime by arrangement for groups and coach tours. Closed mid June - mid August.